Why are uploaded documents on my form not coming through to my email. 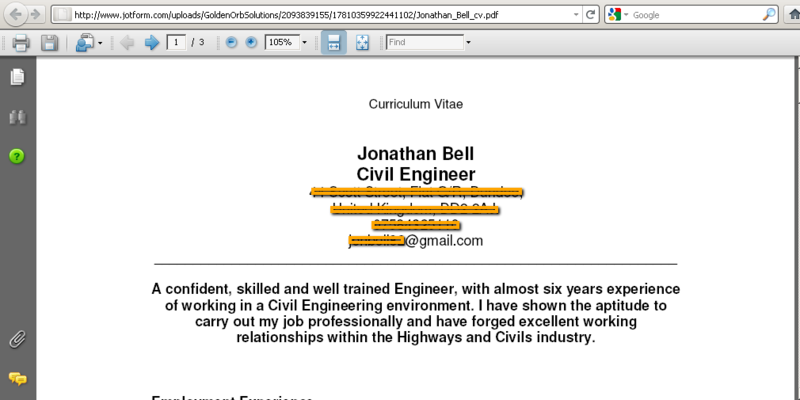 Hi there, I have set up up a jotform on my website and accept the upload of CV's. This facility does not appear to be working. Could you please contact me as why this is so. Thank you for your message. The attached files are actually not attached in the email notifications sent to you. Rather, the emails provide a link to the file where it is saved in our server. It was made this way because some JotForm users expect files as big as 1GB from their clients. It would be impractical if such a huge file be attached to an email message. Hope you find this info helpful. Please let us know if you need further assistance. Thank you for using JotForm!